Real estate buyers and sellers have been warned to be wary of online companies promising to connect them with the best possible agent in their area to help with their property transactions. Most consumers assume the firms, once contacted, check all the agents operating in their suburb, carry out due diligence on them and then work out which ones best suit their needs. But sometimes they turn out to be simply computer programs aggregating agents in the suburb and passing their details and fees on with no checks or balances â and then claiming commission from any successful agents. 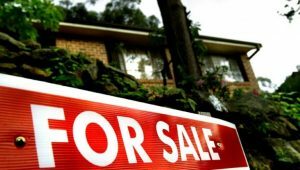 âSome of their claims are very misleading,â says agent Doug Driscoll, CEO of real estate agency Starr Partners. âTo read their ads, youâd assume they do all the legwork for you as the consumer. But most of them donât. One of the services, Local Agent Finder, says theyâre in the process of improving their operation. Chairman and one of the founders Rupert Greenhough says more information will be provided to consumers, with endorsements from other customers later this year or early next. But NSW Fair Trading is now monitoring operators after being notified about their actions. A spokesperson said theyâve been alerted to the business model used by âvarious real estate aggregator servicesâ. In Victoria, some companies have been sending out emails and then demanding that agents pay it commission. Ash Marton of Ash Marton Realty in Frankston was so outraged by the demands of Local Agent Finder, he refused to pay, despite threats of court action. âTheyâre trying to make money from jam, from doing nothing,â says Marton. âTheyâre preying on people who are too busy to do the searches and instead just send out a batch of automatic emails and then think they can charge us a 20 per cent referral fee. Local Agent Finder then took action in the Victorian Civil and Administrative Tribunal against Marton, on five claims, totally $11,000. Marton decided to contest all five. At the Tribunal, on the day of the hearing, Sellmycastle Pty Ltd, trading as Local Agent Finder, suddenly withdrew all its claims. When Marton posted his victory on his agencyâs Facebook page, it received 423 âlikesâ and comments from a variety of both consumers and fellow agents, outlining their outrage after also having dealt with the company. Greenhough says his company is now working with franchise groups to see how they can address such problems. Currently, if an agent hasnât conducted an appraisal on a property within the last 60 days, itâs considered that the agency doesnât have a prior relationship with a customer. Thatâs now being increased to 90 days. Driscoll, however, says that outrage is now being voiced around the country about Local Agent Finder. âIâm all for disruptive business models entering the real estate industry but when they run on an automated system that doesnât take so many factors into account, it can be very Â deceptive,â he says.